Luddesdowne Church possesses an up-to-date churchyard plan recording all known burials from the late 17th century to the present day. 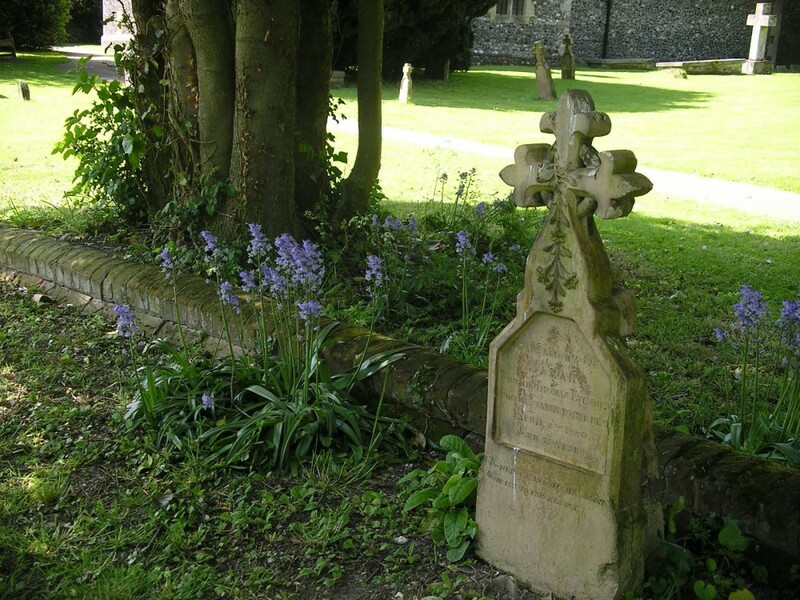 Family historians and others wishing to enquire about burials in the churchyard are welcome to contact the PCC secretary. Cobham and Luddesdown villages were the same as many villages up and down the country - their men went to fight in World War 1 and some never came back. Their names are commemorated on the War Memorials of both villages and remembered on Remembrance Sunday every year. In Luddesdowne, two booklets have been compiled - thanks to information from local people - about the men who died, including the Canadian Royal Air Force Personnal Crew of Halifax bomber LV 996 429 ( Bison) squadron whose plane crashed nearby in 1945. Please click here to download the World War 1 booklet and click here for the World War 2 booklet.